Calix Occam E5 access nodes are built to expand your advanced broadband services and applications where your access network needs it most. Worldwide Supply recommends a refurbished Calix Occam E5 access node to help companies manage the latest technologies such as G. Fast over copper and VDSL2 for your residential subscribers as well as business-class MEF CE 2.0 services to support SMBs and cell towers. The Calix Occam E5 comes in three major flavors based on support and network extensions. Environmentally hardened Calix Occam nodes offer a combo of integrated voice and data (48C) and overlay data with external voice (48) that can support a broad set of network access locations. These models are built to augment DSL overlays or even retrofit any third-party cabinet locations. Boost operational efficiency without impacting your budget or creating downtime by using a refurbished Calix Occam E5-48 unit. Selecting the refurbished Calix Occam E5 will provide your network with industry-leading G. Fast support to MDU and DPU locations. 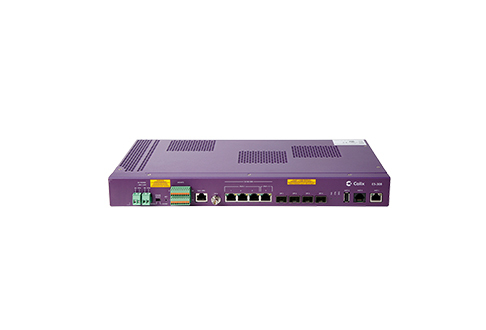 These new and used refurbished Calix Occam E5 models can extend GPON or point-to-point gigabit Ethernet fiber when you have an already fiber-rich environment. The E5-16F is designed to be mounted to the rack or the wall. Business-access grade nodes in the Calix Occam E5 family allow you to integrate Ethernet aggregation and service demarcation tools in order to provide a high-class carrier Ethernet solution for businesses and mobile backhaul. The more demanding your market, the greater your success with this part of the E5 family.